Dr Robert Bourke graduated from the University of Queensland with a Bachelor of Medicine and Bachelor of Surgery in 1984. He is a Fellow of the Royal Australian and New Zealand College of Ophthalmology and a member of Retinal & Cataract associations in Australia, US, UK and Europe (ASRS, ANZRS, AUSCRS, ASCRS, EVRS). Dr Bob Bourke specialises in the treatment of Macula & Vitreoretinal Diseases and Cataract. He has a special interest in treatment of age-related macular degeneration (ARMD), particularly in the management of Neovascular ARMD (wet macular degeneration). Upon completion of Ophthalmology training (1987-91, Brisbane), Dr Bourke furthered his experience by completing two Vitreoretinal-Macular-Cataract Fellowships at Moorfields Eye Hospital (London) and St Paul’s (Liverpool U.K.) between 1991-95. During this time, Dr Bourke treated the UK’s most complex referred cases. The experience gained from managing these complex cases taught him how to minimise complications in routine intraocular surgery. 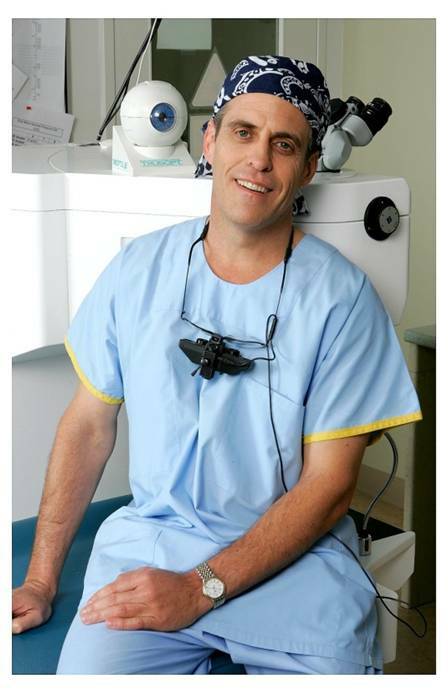 Dr Bourke’s additional surgical skill-set and his continued dedication to remain at the forefront of his field, have made him a reliable community resource for the Gold Coast as well as for referrers throughout Australasia, Europe and the U.S. since 1995. Dr Bourke was co-founder of The Eye Centre Gold Coast and Short Street Day Surgery. He is an Associate-Professor at Bond University, Gold Coast and is a board member of the Clem Jones Research Centre for Stem Cells & Tissue Regenerative Therapies (CJRC) which is actively researching stem cell and nanofibre technology therapies for ARMD. Dr Bourke has authored more than 20 peer-reviewed journal articles and has been a Guest Lecturer on macular degeneration treatment, diabetes, macular hole surgery and complex cataract and intraocular lens surgery on multiple occasions at Domestic and International Conferences. Dr Bourke has five children and in his spare time, plays lead guitar and sings in a soul/blues band (Groove Doctor). He enjoys surfing and endures golf! Dr Bourke offers Surgical and Laser treatment of Cataract, Vitreoretinal and Macular conditions, including Age Related Macular Degeneration, Diabetic Retinopathy, Macular hole and Epiretinal membrane, Retinal Vascular Disorders and Retinal Detachment. With extensive additional subspecialty training, Dr Bourke is one of few Ophthalmologists who manages all complexities of cataract, macular and retinal surgery.